Disclaimer: Special thanks to Charmaine for her photos. I forgot to slot in my memory card on that day so yeah, my camera is useless. Yadah is a range of botanical skincare products for teens and young adults formulated with natural plant extracts. The formulas are 100% free from artificial coloring, preservatives, mineral oil, sulphate and do not contain animal extracts of any kind. They are most suitable for young skin as this particular age range have more tender skin that is more vulnerable to harsh chemicals.Yadah products are suitable for all skin types, even for sensitive and troubled one. Now Yadah is this little girl, and she has a pet named Yom Yom. Lai, let me tell you some stories about Yadah. Yadah strong and brilliant girl an adopted pet alien, Yom Yom. Tom Yom is a pet alien with super high IQ and always stick to Yadah. Collagen Ampoule: Repair damaged cells, enhance skin elasticity and firmness. It also helps to strengthen skin immunity and boost skin hydration. Just so you know, all Yadah products has one key ingredient, the native Opuntia Ficus Extract. This is a unique cactus species with strong anti-inflammatory and high potent antioxidant benefits. This extract also helps to improves the retention of moisture in the skin. Below are the other Yadah products that were introduced during the launching. Here are the Yadah Skin Care series. Yadah also came out with hair care and makeup series, which means I can have Yadah from head to toe. Yom Yom, please protect my head lol. Anti-wrinkle, anti-oxidant, brightening, UV sun protection, moisturizing, sebum control and gives skin a natural look. Available is shade Strawberry Milk, Tropical Orange, Cherry Ade, Bling Bling Essence and Peach Smoothie. 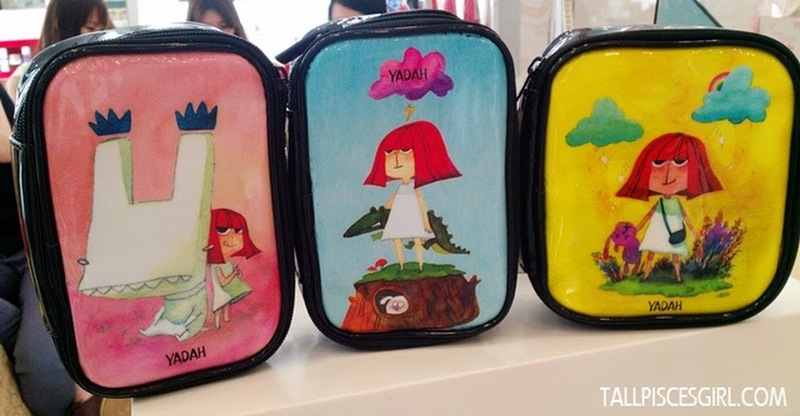 These cute pouches can be found in SaSa outlets too! Aren't they cute? They are all priced at RM 55 each. P/S: I like the pink one because of the Yom Yom! Can you see the long-ear puppy? That is Yom Yom! Mine! But only can bring home one box or else I'm going to be slaughtered by ah Maine. 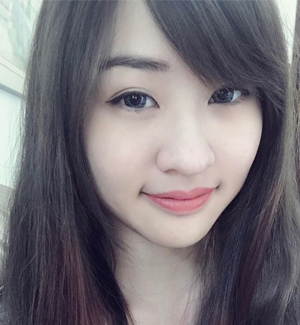 Lisa is too cute <3 She is just like some random pretty character walks out from anime wtf. Ok, I know my post is long enough but yeah, I had lots of fun in the event. Well, I get the Anti Trouble Spot because it is super cheap, with good feedback from my colleague. As it promised, the pimple cream does not burn the skin. Now before I end my post, do come back and visit for the upcoming ones.